Cheech Marin and Tommy Chong are celebrating the 40th anniversary of their iconic Up in Smoke movie and took time to discuss roles that they passed on over the years. Marin admitted that he was approached to join the cast of the Super Mario Bros. movie as the titular character alongside John Leguizamo's Luigi, but he luckily turned it down. The big screen adaptation of Mario and Luigi was a huge mess and has little or nothing to do with the legendary Nintendo game that it is based off of. Many have called it the worst movie ever made. Not to mention that the character is inherently Italian and Cheech has made his career off playing a very stoned Mexican-American from East L.A.
Tommy Chong was taken aback to know that his partner, Cheech Marin, had been approached to play Mario and couldn't believe that he turned it down. Chong is more than likely unaware of the reputation that the movie has and is only thinking about the gigantic empire that Nintendo has created over the years. Marin mentioned that he turned it down and that they also offered him royalties on the Super Mario Bros. movie. He explains. "I turned down a few video games when they were first starting out. They wanted me to be this character and it turned out the character they were asking me to be was Mario of the Mario Bros... It was because he had this mustache, ya know? They were going to give me a cut of the royalties and everything." The late Bob Hoskins ended up in the role instead and in the years after Super Mario Bros., the actor revealed that it was the worst project that he had ever worked on. John Leguizamo echoed Hoskins' sentiment and noted that they would both get drunk together after shooting to get through the nightmare of making a movie that they knew was going to be terrible. Dennis Hopper, who played King Koopa also talked about how bad the production of the Super Mario Bros. movie was after it was released, sometime before his passing. He had this to say. "It was a nightmare, very honestly, that movie. It was a husband and wife directing team who were both control freaks and wouldn't talk before they made decisions. Anyway, I was supposed to go down there for five weeks, and I was there for 17. It was so over budget." As for Cheech Marin, he went on to lend his voice acting talents to Ferngully: The Last Rain Forest as well as Disney's The Lion King and the Cars franchise while also starring in major Hollywood films. Coincidentally, Tommy Chong notes that he actually turned down a part in The Lion King, when asked about roles that he turned down. Marin definitely made the correct decision not to join the cast of the Super Mario Bros. movie, royalties or not. As previously mentioned, Cheech Marin and Tommy Chong are celebrating the 40th anniversary of Up in Smoke, a movie that took them years to make. Studios weren't ready to take a chance on the stoner comedy, but with a budget of $2 million, the movie exploded and made $44 million at the box office, turning Cheech and Chong into superstars. 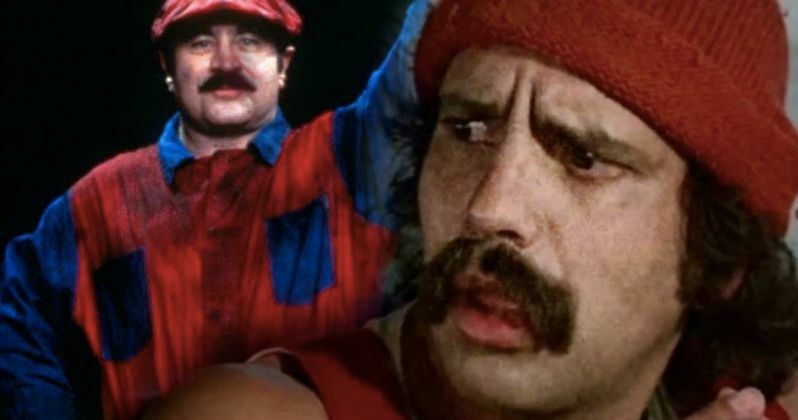 You can read more about Cheech turning down Super Mario Bros. over at Frobes.